Is stát i Stáit Aontaithe Mheiriceá í Virginia Thiar, arb í Charleston a phríomhchathair agus an chathair is mó ansin. Fuair Virginia Thiar scaradh ó Virginia le linn Chogadh Cathartha Mheiriceá, agus chuaigh sí san Aontas mar stát ar leith sa bhliain 1863. 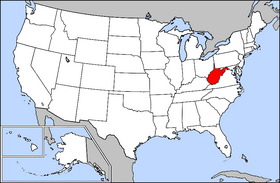 West Virginia.us - Suíomh idirlín oifigiúil. Tugadh an leathanach seo cothrom le dáta an 4 Lúnasa 2017 ag 20:03.